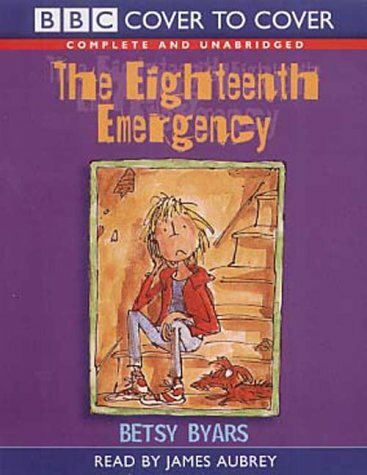 The best bullying story ever, Betsy Byars's The Eighteenth Emergency manages to be very funny indeed without for a moment under-estimating its horrors or significance of the victim's feelings as he struggles for survival. And James Aubrey reflects both those qualities admirably in his reading. Benjie and his friend Ezzie know how to cope with seventeen emergencies - all learnt from the Tarzan films. They know how to duck under and out from charging bulls, how to get out of quicksand and how to escape seizure by a gorilla. But will any of these help when Benjie makes the fatal mistake of calling Marv Hammerman, the biggest and most brutish boy in their class, a Neanderthal? The only solution is for Benjie and Ezzie to 'think up their own solution to this unpredictable eighteenth emergency. The major drama is set against finely observed details of home and school life, all convincingly related in Benjie and Ezzie's dialogue.